2 Entries Tagged with "Sagrada Familia"
The most fun, exciting, educational, and craziest weekend I had during my semester abroad. You definitely get the maximum bang for your buck with WSA. WSA provided me with an unbelieveable weekend in Budapest. After hearing from my friends about their amazing experiences on WSA trips, I had to see what all the hype was about. I chose to take part in a WSA weekend in Budapest, and I loved every minute of it. The guide, Bogi, was the best! WSA is the perfect blend of an educational/tourist expereince while also allowing for sites off the beaten path as well as kickass nightlife. You won't regret a trip with WSA. We keep our groups small, so save your spot now! Check out our Tripadvisor, App Store & Facebook travel love below. Stay up to date with upcoming tours, deals and discounts through our Facebook page! 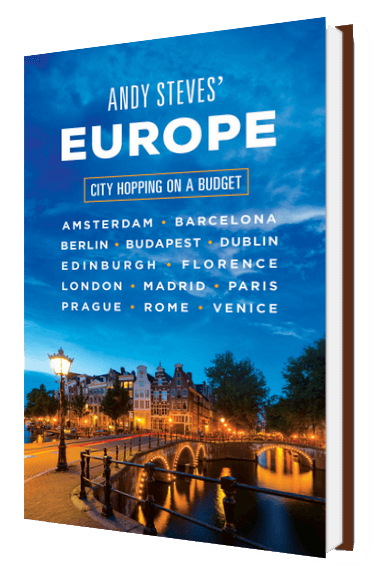 Check out Andy Steves' Europe: City Hopping on a Budget! Pick a city and go! All new budget guidebook from Andy Steves, Founder and Chief Backpacker of WSA. © Copyright 2019 Weekend Student Adventures Europe. All rights reserved.